A cheaper, simpler and simply better way of working with customer service. Let us show you why. A single system that you can use for all your customer enquiries. A system that handles conversations across multiple channels. And a system that is simple and easy to work with for both managers and customer service agents. Choosing the right software for your customer service isn’t easy. There are a lot of companies in the space labelling themselves as helpdesks, of which Zendesk is probably the most well-known. So, we thought we’d take some time to show you how we’re different from them and why you ultimately shouldn’t choose a ticketing system. Now, both Zendesk and Dixa offer what’s stated in those first two bullet points, but we’re fundamentally simpler than Zendesk. And more affordable. Read on for the main differences as we see them. Zendesk was born as an IT-helpdesk. That means their solution is made for customer service organizations who run at least two tiers of support: Those on the frontline who talk to the customer and those in other departments who end up solving the customer’s issue. If your support isn’t organized in this way, working with tickets is a waste of your time. Even if it is, in some cases you still shouldn’t be looking for a ticketing system. The primary goal of any customer service team is helping your customers in a way that leaves them happy and satisfied. The one single metric that’s most correlated with customer satisfaction in all the studies we’ve seen over the past 20 or so years is First Contact Resolution (FCR). As it turns out, answering your customer and solving their issue immediately, at the first contact, is what you should be doing. That begs the question “why do you need a ticket for that”? The truth is, you don’t. Dixa organizes the entire platform around the customer conversation. You can still categorize and tag each contact, write notes for it, transfer it, put it on hold, get stats on it, etc. 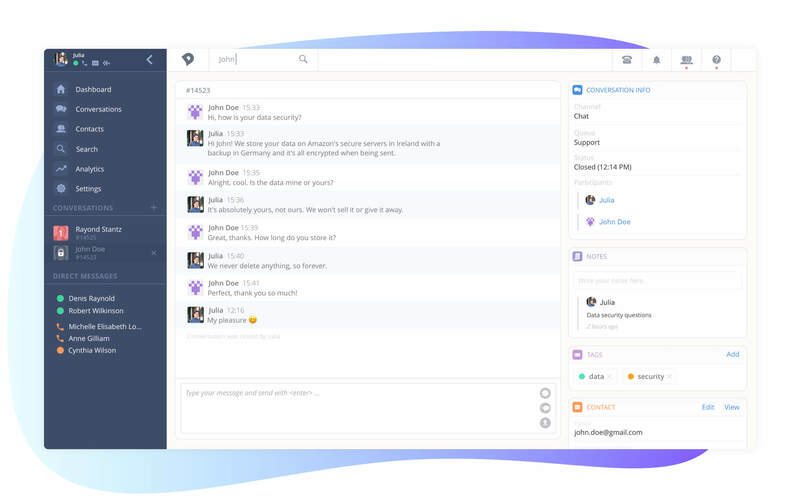 We’ve designed Dixa this way to keep the platform as simple to work with as possible and retain the customer as your focus with as few distractions as possible. Comparing prices between different solutions can be a bit of a hassle. Here we do it for you - as honestly as we can. These are examples of comparable solutions in which Zendesk customers currently get one thing that you won’t with Dixa: Social media as a channel (we’re working on it, and we’re bringing in review sites as a channel too). Apart from that we’re quite comparable. We even use the same worldwide VoIP platform, Twillio, for our voice solutions. A webshop with 3 employees that all need to be able to respond to customers on voice, chat & email but don’t spend a lot of time on the phone. *Only inbound calls are recorded in Zendesk, but you can record outbound calls in Dixa as well. That’s about 40% cheaper when comparing plans with similar features (call recording is an add-on with us whereas it’s included with Zendesk, but it costs the same). You'll save $132.50 every month. 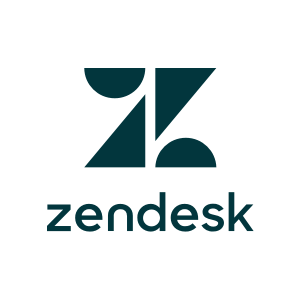 You're probably wondering why Zendesk is so much more expensive, right? Well, uhm… We honestly don’t know. To be fair, Zendesk was built for larger companies. So let’s have a look at an actual customer service team. A 10-man support team that’s part of a larger organization. This team spends all a lot of time on the phone, and they all have to be able to respond on chat and email as well. They also have an IVR and call routing. *Only inbound calls are recorded in Zendesk, but you can record outbound in Dixa as well. For this team size and call usage Dixa is still considerably cheaper. You'd save $340 every month. Both these teams might want to add more employees from other departments that they want to loop into conversations from time to time. *Depending on your use case, we are willing to work with you to accomplish this, however, in Zendesk you might have to pay a bit more for each of these “light agents”. One of the absolute pains in customer service is cherry-picking. You know, those emails and cases sitting forever at the top of your inbox that no one wants to answer because they look really complex? Yeah, those. Agents avoid them and spend time going through the inbox every time they pick a new email. We’ve found that you can save up to 20% of your time working with emails if your agents don’t have to go through a shared inbox. Instead, we route emails just like we do incoming phone calls and chats. Agents simply finish one conversation and then get offered another. Our routing makes sure the customer is connected to the right agent. Should you need to, admins can distribute any unassigned conversations. Zendesk is quite complicated and can be clunky to work with. It didn’t used to be. It used to be the platform that claimed that very same thing of their competitors. But that time has passed - we’re part of a new breed of customer service software that is much easier and faster to use. Of the new breed cloud solutions, we’re the only ones who offer a voice solution on top of other channels. We work hard to make Dixa as easy to use as possible for both admins and agents. For admins that means making changes to your setup on the fly is anyone’s business. For agents it means keeping the focus where it’s supposed to be: On the customer conversations without the added distractions of tickets, shared inboxes and having to switch tabs all the time. We encourage you to check up on prices and features yourself and not just take our word for it. Or try Dixa out for free to experience the differences firsthand. We’ll be happy to help you every step of the way! Schedule a walkthrough or try for yourself. We're here to help if needed.